Two walkers who got lost in the dark on Scotland’s southernmost munro in winter conditions were fortunate to escape without injury, rescuers said. The pair became separated from the rest of their party on Ben Lomond on Sunday and were reported overdue after failing to return to the valley. Lomond Mountain Rescue Team, which was called out to search for the walkers about 5.20pm, said they were not equipped for walking on a munro in winter. The two set off with two other adults and a child up the ‘tourist path’ from Rowardennan on the west side of the mountain mid-morning. A Lomond MRT spokesperson said: “Two of the younger adults chose to carry on to the summit, separating from the group high on the mountain. Teams from Lomond MRT began searching the mountain from both sides in worsening weather, looking for the walkers both on paths and open countryside. The Inverness Coastguard helicopter flew to the area but was unable to reach the higher parts of Ben Lomond because of the weather. “The two walkers were eventually met by team members, very cold and wet, at Comer Farm on the north side on Ben Lomond at 9.42pm,” the spokesperson said. “Our thanks to all at Comer Farm for warming, feeding and drying out the walkers. 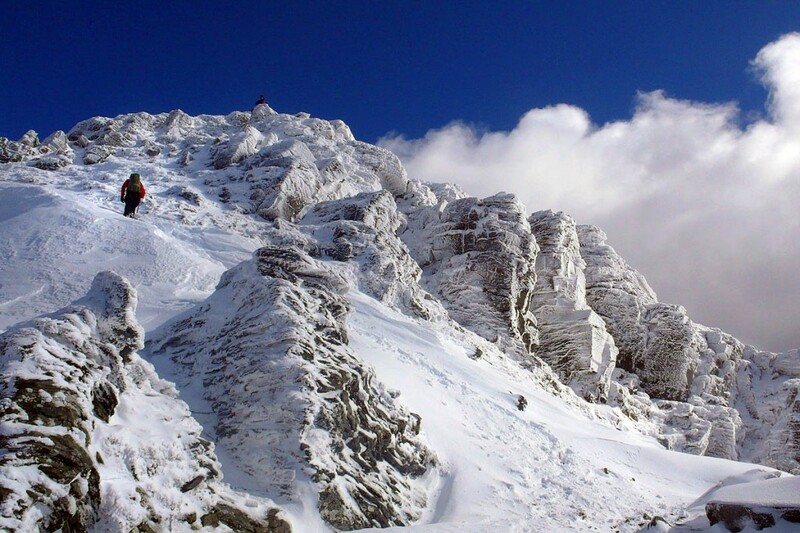 “The duo were not equipped for tackling a munro in full winter conditions. Their footwear was inadequate; they were without torches, ice-axes or crampons and their partly charged batteries on their mobile phones had died. “It is clear that they did not fully comprehend the dangers of winter walking. On a difficult descent in the dark, they fell a number of times and were extremely fortunate to survive their experience uninjured. “Lomond MRT would like to remind hillwalkers that, despite the recent warm and wet weather, Scotland’s mountain are experiencing full winter conditions.